Council did not test public safety legislation. I would like to pass on my thanks to Kevin Hollinrake MP for ascertaining the government’s view on whether a seagull cull would be allowed as published in last week’s Scarborough News. His intervention followed my passing on complaints from a Hunmanby resident who expressed concerns about the state of Huntriss Row in Scarborough. I would also like to thank Cllr Bill Chatt for being willing to listen when I forwarded on the complaint. For the record, her complaint pre-dated your newspaper articles calling for action on these matters. 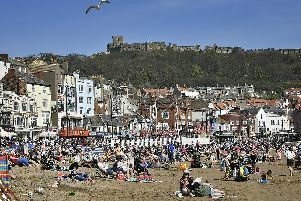 I have re-examined the report of the task group and it seems to me that the existing caveat in legislation relating to public health and safety was not tested to the full by Scarborough Borough Council. There was an acceptance that the law prevented action by the council or private individuals. The legal department should review the situation and advise if the threat to the public is sufficient to allow for licences to be applied. I am not personally advocating a cull of seagulls but I do believe that the debate should be broadened to consider whether such action would alleviate some of problems being encountered in the borough. The property owners where the seagulls nest should not be expecting the taxpayer to pay for all the potential remedies to this problem. They must take responsibility for the prevention of nesting on their properties. Other towns such as Altrincham have introduced an additional charge (with the agreement of businesses) to allow for additional maintenance in the town centre. This money could be used to tackle the seagull problems in the towns in which it is raised. There is more that can be done but it requires all sides to stop expecting the other to take all the responsibility. Finally, many people will think that raising issues with their councillor or MP is a waste of time as nothing ever happens. I hope the above illustrates that some councillors and MPs do listen to their residents. Yes, that quiet chat in a church cafe in Hunmanby does sometimes make it to a minister’s desk.